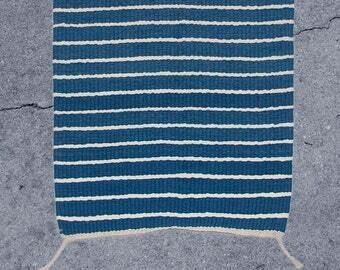 Handwoven wool rug, dyed using natural plant dye, indigo. 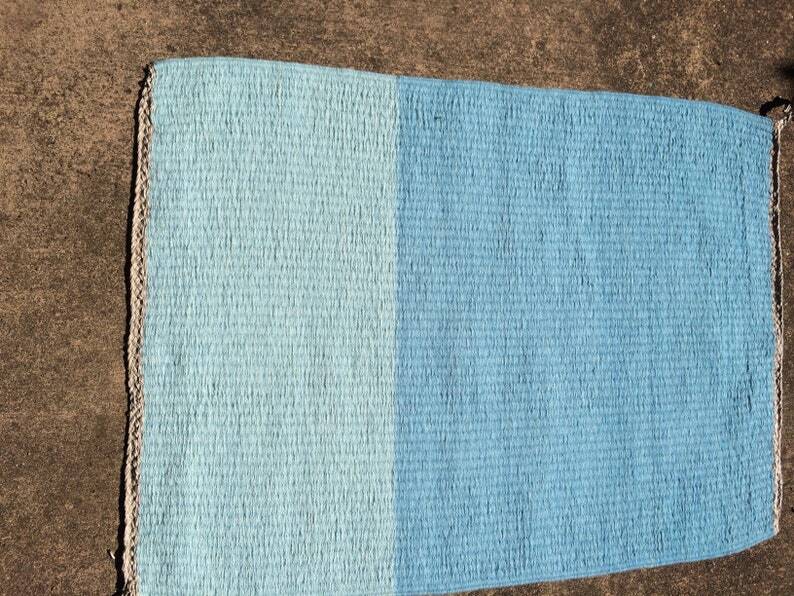 Light indigo, medium indigo which rolls into a touch darker indigo. Gorgeous blue color combination. 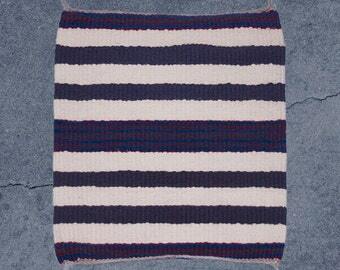 Measures 35.5" long and 25" wide.